Named after Queen Victoria, who reigned from 1837 to 1901, the Victorian Era represents the most diverse period of jewelry styles in history. The three distinct styles of the time can be categorized as Romantic, Grand and Aesthetic, and they each mirror both Queen Victoria's passionate love for her husband, Prince Albert, and the rapidity of development in nearly all spheres of life. One could study jewelry and history books for months before even scratching the surface of understanding jewelry of the Victorian Era, as well as the many other styles born of its varying influences. 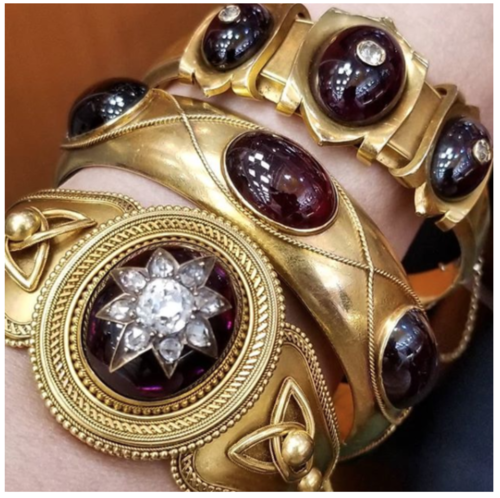 At the Original Miami Beach Antique Show, the most knowledgeable purveyors in the world will showcase a vast selection of Victorian Era jewelry, and they are all excited to share the wealth of knowledge that they've garnered over a lifetime of immersion in the period. A complete line up of the event, as well as information on purchasing tickets, can be found via: www.originalmiamibeachantiqueshow.com/show/special-events. Please note the show's New Dates! Saturday, January 26 to Tuesday, January 29th, 2019!